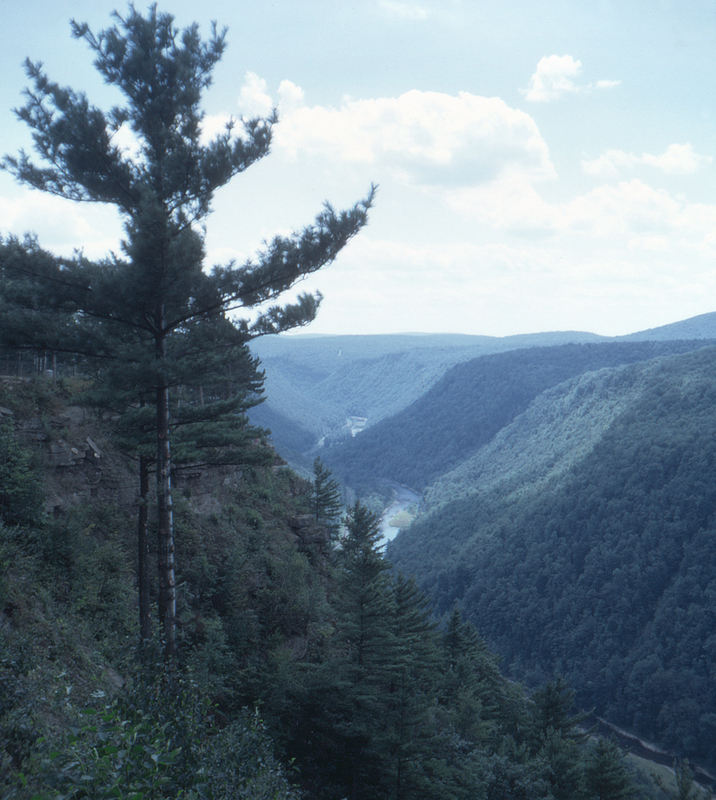 As if passing through the scenic beauties of Watkins Glen, New York were not enough, the New York Central's Fall Brook Line also ran along the bottom of the famed Grand Canyon of Pennsylvania, also known as the Pine Creek Gorge. Here the Central occupied a narrow right of way along Pine Creek in a canyon which reached depths of almost 1500 feet in places, filling the canyon with the deep rumble of heavy coal trains from the Clearfield District. Today the tracks are gone along with most of the rest of the Fall Brook Line. This shot and the next were taken from the observation overlook at Colton Point State Park; this view looks south.